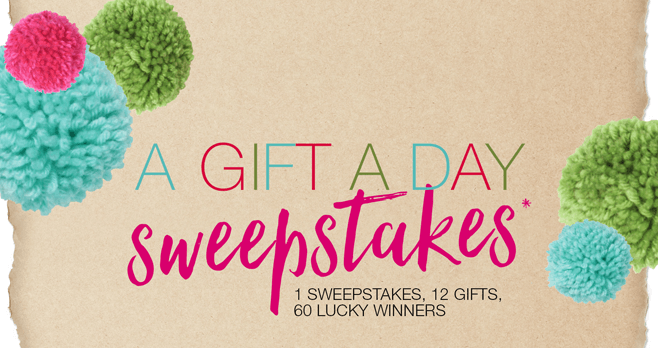 Starting on November 8, Maurices is giving away 12 gifts to 60 lucky winners during the Gift A Day Sweepstakes 2017. For your chance to win the Maurices Sweepstakes, go to maurices.com/sweepstakes and register. Enter daily through November 19 for more chances to win. During the Sweepstakes Period, enter the Maurices A Gift A Day Sweepstakes by visiting the Sweepstakes Site at maurices.com/sweepstakes and following the directions to complete the online entry form. You will be required to provide your first name, last name, and email address. Limit of entry per day during the Sweepstakes Period. Who Can Enter? The History The Curse Of Oak Island Sweepstakes is only open to legal residents of the United States or the District of Columbia who are at least 18 years old and the age of majority in their jurisdiction of residence. When To Enter? The Sweepstakes Period begins at 12:00:01 a.m. ET on November 8, 2017 and ends at 11:59:59 p.m. ET on November 19, 2017. How Sweepstakes Winners Are Chosen? Upon the conclusion of each Daily Entry Period, 5 Potential Winners will be selected from all eligible entries received during that Daily Entry Period, in a random drawing by the Administrator. Who Are The Winners? To find out who won, send your request via e-mail to info@syncmarketing.net with the subject line “A Gift A Day Sweepstakes Winners” within 3 months of the end of the Sweepstakes Period.